The Parkview Museum Singapore is a private museum established by the Parkview Group. Located in Parkview Square, it occupies a floor area of 1,400 square metres with up to six metres of ceiling height. It is a brand new space conceived to host exhibitions with emphasis on contemporary art. Its exhibitions will alternate between solo shows, thematic exhibitions and exhibitions featuring pieces from the Group’s extensive collection. The combination of art and business has long been a core value in the Group’s real estate model, with emphasis on architectural design and traditional art and culture started by founder, Mr Hwang Chou-Shiuan. Since then, the Group has continued this legacy of art for over 50 years. To date, the Group’s art collection include the largest Dali collection outside of Spain, numerous art works by western masters, an invaluable collection of imperial Chinese stone Buddhist carvings and a vast collection of ancient archaic bronze ware collection and a substantial collection of contemporary Chinese art amounting to over 10,000 works. Mr George Wong, eldest son of founder CS Hwang, is an Honorary Professor at the Nanjing University of the Arts and he has been key in shaping a coherent and structured art collection. Since 2013, the art collection has grown in scale and prestige, to include masterpieces from Italian, Austrian, German, French and American contemporary art. Driven by democratisation, passion and commitment for arts, Parkview Group opened its first museum in Beijing in 2014. 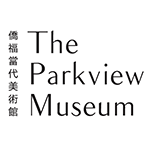 Like The Parkview Museum Beijing, The Parkview Museum Singapore aims to enrich the local art scene by providing a local and international platform for artistic expression and popularisation of contemporary art. The Parkview Museum Singapore will involve international and local artists to create thematic exhibitions that demonstrate the multifaceted and versatile character of contemporary art, brought together by a high level of art professionalism and curation. The Parkview Museum Singapore will be open to the public free of charge, to encourage the integration and appreciation of art in everyday life.